While using a VPN for gaming isn’t necessarily one of the uses you would automatically associate with a VPN, it can be a necessity. For example, have you ever wanted to access a game only available in another country? Or maybe you're playing in a tournament and you want to avoid the chance of a DDoS attack? If so, using a VPN when gaming could be a good idea. However, what is crucial is that you use the absolute best VPN for online gaming, otherwise you could be stuck with a slow, laggy connection. Please read on to find out why you would want to use a VPN for gaming and also see some of the best gaming VPNs. Using a VPN server in another country can allow you to play games that are usually only accessible in that country. This is because the game server will only see the IP address of the VPN you're connected to. While gaming servers are generally safe, using a VPN can reduce the likeliness of you connection being accessed by hackers. VPNs not only hide your IP address but also encrypt all your data, giving you an extra layer of protection. Perhaps more importantly, in the world of competitive gaming, it has been known for people to use DDOS attacks on their competitors to increase their chances of winning. A NAT firewall (with your VPN bundle) can really help with this as well. Using a VPN will go some way towards reducing the chance of this happening. If you have friends in different countries, yet play games that have different servers depending on your location, it can be hard to play the same game with your friends. However, by using a VPN server in the country your friend lives in, you can access their server and play games together. Are There Downsides To Using A VPN When Gaming? There are some potential downsides to using a VPN for online gaming. The main use of VPNs nowadays is to increase security by encrypting your data and to route your data through a VPN server in another location. Both of these things take time and resources, and as such, can reduce your speeds and increase lag. This is obviously the opposite of what you want when online gaming. The amount this will affect you will depend on the level of encryption you choose and the location of the server you choose. To get the best possible speeds choose a VPN with low levels of encryption and a server that is as close as possible to the server of the game you are playing. Also choose UDP as a connection type, rather than TCP. UDP is faster and fine for gaming (as online gaming uses the USP protocol anyway). Most VPN providers will give you a number of different VPN server choices so if you find that one server is too slow, you can always try a different one to see if it makes any difference to your overall speed. Having said this, there can be speed improvements when using a VPN depending on your situation. For example, if your ISP throttles your gaming data, then using a VPN should stop this from happening. This could actually end up with you reducing ping time with a VPN compared to when you don't use one. Setting up a VPN with a PC is pretty easy. You just install or configure the the VPN on your operating system. However, if you want to use a VPN with your Xbox or Playstation, installing a VPN on your machine isn't an option. 1) Installing the VPN on your router: Using open source firmware, you can flash your router and install a VPN on your router. Make sure your router supports it and you install the right firmware! Read our write-up on open source router firmware here. 2) Cable your console into a PC with a VPN installed: This is a little bit messier than the first option, but it can be done. Using a crossover Ethernet cable, you can connect your console to your PC and then get funky with the config. We're not going to go into details on how to do that here, but this article should be useful for you (it should work for PS4 too). When choosing a VPN server from your list, go for the one that has the lowest latency, and if displayed, the least used resources. ExpressVPN is one of the 'big boys' of the VPN world, and has servers in almost 100 countries. The more choice the better as far as we're concerned! There is also the option to connect with OpenVPN, which supports UDP. UDP should be faster than the standard TCP as it sends data, without worrying about confirmation replies from the recipient device. One very useful feature is the 'Speed Test' tool. Using this tool, you can poll against all available ExpressVPN servers to see which one is the fastest from your current location. The tool uses a combination of download speed (the faster the better obviously) and latency (the lower the better) and produces a 'Speed Index' score (the higher the better). This makes it very easy to quickly gauge which server is best at that moment in time. The latency and download speeds are also displayed should you want to make your own decisions. Note that the Speed Test isn't definitive. If you're based in the UK and a server in Japan happens to be the fastest (actually pretty unlikely!) but your game server is in the US, then your gaming traffic will need to go to Japan before it then moves onto the US. Not ideal! So, as always, you'll need to play around with this and just get a feel when playing the game. Encryption levels are AES 256-bit across the board buy default. This is very secure, but the heavier the encryption, the more work to encypt and then decrypt your data, which equals increased latency. Not what we want for gaming. 128-bit encryption is available however, as an option through the menu. There is no data retention with ExpressVPN, which is great for privacy, but not a top priority for gamers. Good to know it's there for peace of mind with anything else you use the VPN for, anyway. 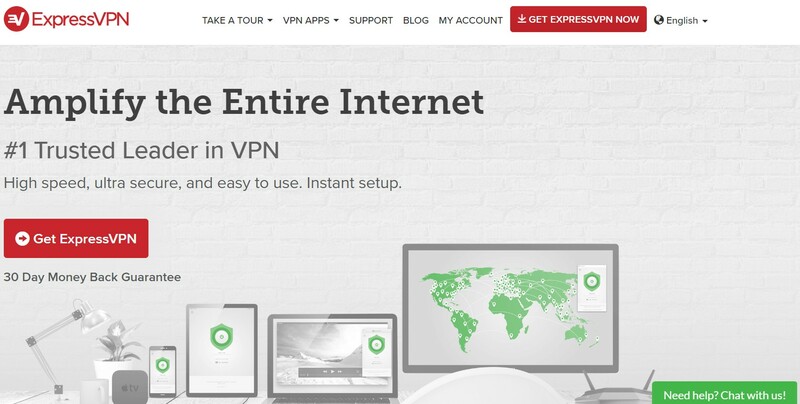 ExpressVPN doesn't have a free trial, but it does offer a 30 day money back guarantee. Next up is NordVPN, which features it's cool 'double encryption' feature. As we said before, more encryption can slow down your speeds, so you may want to disable this feature when playing games. UDP is available with OpenVPN, but AES 256-bit is the only available encryption level available. It has a bunch of useful features, including a 'Kill switch' so you can quickly stop routing traffic directly to the internet, should the VPN connection drop out. Also, no logs are kept, should privacy really be at the forefront of your mind. The good thing though, is that Nord offer a 3 day free trial, so you can test the VPN to your heart's content and work out whether or not its good for you. There's even a 30 day money back guarantee even after you do sign up, for extra peace of mind. Buffered very kindly lets an account holder connect up to 5 devices simultaneously, which is more generous than most! UDP is thankfully once again an option (yes, if you're gaming, you really should be using it!). Although Buffered do not hold data logs, some customer logs can be held. Again, this should be a problem for gamers anyway. It's only a concern for those who are really serious about anonymity. Unfortunately, Buffered do not offer a free trial. You can however sign up for one month, and as long as certain thresholds are not exceeded, you can claim a your money back within 30 days of purchase. At time of writing, Golden Frog (with its 'VyprVPN' product) has over 700 servers in 70 countries. Like the other options on the list, there is no limitation on speed or bandwidth. Vypr comes with the option of a NAT firewall, to help stop malicious attacks and DDOS. The last thing you want is a DDoS attack if you're playing in an online tournament! OpenVPN and the Chameleon are the only protocols that support UDP. Chameleon is only available with the premium option, but luckily OpenVPN comes as part of the standard setup. Golden Frog offer a 3 day free trial on their standard or premium products. Good to have should VyprVPN not meet your expectations. IPVanish have over 750 servers in 60 countries (at time of writing). And, they own the servers. they don't rent them. Like Vypr, IP Vanish has the option of a NAT firewall to help stop DDoS attacks. And there is the option for UDP connectivity over OpenVPN - but it is AES 256-bit encryption, with no option for anything lighter. It is possible to select a server based on latency and server load - at a glance using filters, which is handy. There's a Kill Switch too, if that's important to you. Oh, and zero logging. Sadly, there is no live chat support. Boo! IPVanish falls a little short compared to the other with respect guarantees. There is a free trial available, but only to those signing up with iOS (Apple products). There is a money back guarantee available for everyone else, but it's only 7 days. So, not ideal for a lot of users. Using a VPN for gaming has a number of benefits. While these benefits will never outweigh having a poor connection, if you choose the best possible VPN for gaming you should be able to get the security and location benefits without seeing much (or any) difference to your gaming experience. If you can, try out a couple of different VPN providers and several VPN servers within each one to get a feel if it's the right VPN for you. Hopefully, you have enjoyed our article about the best gaming VPN. If you having questions, feel free to ask in the comments section below. Vpn makes online gaming better hence I always prefer to pay a few dollars more for a vpn service than use my regular ISP. I have Astrill and it works just great. It’s interesting that you say that our online gaming experience improves with a VPN. I have heard that if certain users have a slower internet connection, they can actually get a ‘handicap’ to compensate. It’s not uncommon for gamers to apply Quality of Service limiting throughput to only 1.5Mbps down and just Kilobits per second upstream. Glad you enjoyed it. Just remember to try out the VPNs until you find one that works best for you. There are plenty with free trials, or money-back guarantees, so you could check those ones out first. The ones we highlighted are a great place to start.